Cycling provides the perfect mode of transport for exploring the more remote corners of Torres del Paine National Park. Whether you pootle past Laguna Azul on dirt tracks, or whizz along the single track of the hunters of Carretas trail, you will be treated with great panoramas from the start, whilst travelling at a pace at which you can hear the birds and surprise the guanacos! 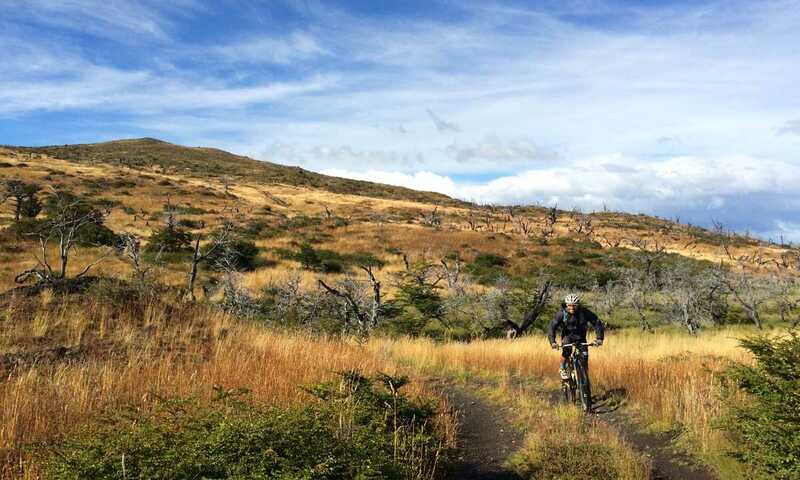 Why mountain bike in Torres del Paine? Explore the lesser visited regions of the park where you will see few people and can get up close to guanacos, with spectacular distant views of the Paine range and hanging glaciers. A network of dirt roads link up the estancias and make for some relatively easy mountain biking, although the strong wind and sharp ascents can make for challenging cycling. There are some exhilarating singletrack descents, with rock gardens aplenty, gnarled roots to hop over and you can really push your limits all with the Cuernos peaks as a backdrop. Approach the park by bike and witness the mountains slowly building from the steppe. Traffic free dirt and gravel roads connect up various lakes and estancias and offer a really relaxed way to enjoy views of the Paine range. Explore the Eastern lakes of Laguna Azul and Cañadon Macho with the Torres del Paine as your backdrop, or travel between Puerto Natales and Torres del Paine visiting Laguna Sofia and the milodon cave en-route. You can even bike into the park from Cerro Castillo, staying at estancias along the way. Biking the main trails of the W trek is not permitted, but there are ancient horse trails and walking paths that you can ride which will challenge the most experienced bikers. The most challenging routes include biking into Paine Grande refugio along the Las Carretas trail, or crossing the from Lago Nordenskjold to Rio Paine via an incredibly technical trail with roots and embedded rocks and steep sweeping descents. Routes can be tailored to every rider's abilities, and less experienced riders can enjoy some of the dirt roads that link together throughout the park. 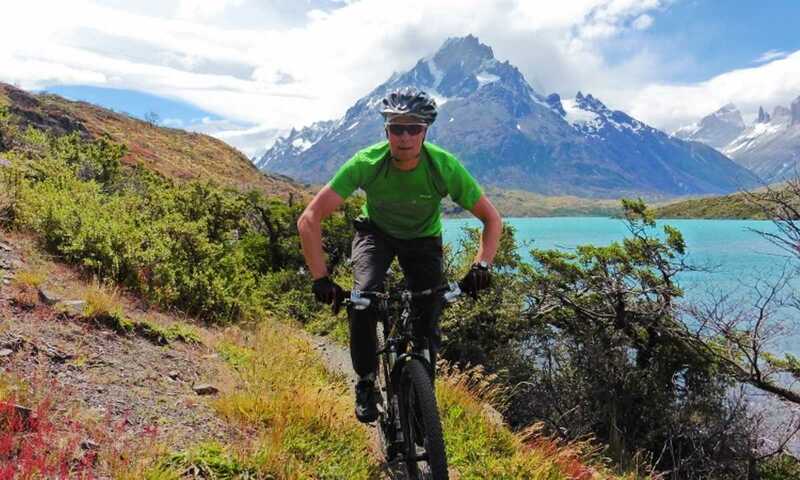 Biking in the remote regions of Torres del Paine really complements the W trek or circuit treks, as you can explore the steppe and see a very different landscape to the main trails. You can also combine with ice hiking, kayaking, horse riding or climbing. More technical riders will find some real challenging riding on the single track fire roads, and double track both in the park itself and further afield in the Sierra Baguales. Our local operators love to ride and are always finding new trails to explore.